Over the weekend I watched two pilot episodes for genre shows from The CW. 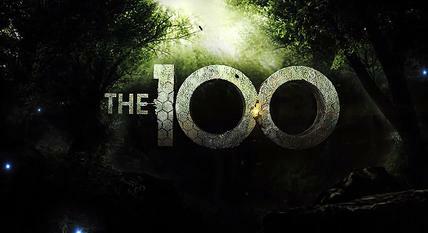 I already watch a few genre series made by The CW – Supernatural, Arrow, and The Tomorrow People. I did watch the first season of The Vampire Diaries and a few seasons of Smallville, though looking at the list of dramas both past and present I’ve never watched anything non- genre. I always look with interest at the list of new shows coming from The CW, both Star-Crossed and The 100 sounded like they might be my sort of shows. Having now watched both pilots I thought I’d talk about what I thought of them. Set in the near-future, the series follows a romance between a human girl and an alien boy when he and six others of his kind are integrated into a suburban high school. The series is set 97 years after a devastating nuclear war. The only survivors were residents of several space stations that were orbiting the Earth at the onset of the war. These space stations banded together to form a massive one called “The Ark”. Resources are scarce and all crimes are punishable by death unless the one who committed the crime was under 18 years of age. Despite this, a hundred juvenile residents, convicted of what would have been relatively minor crimes and misdemeanors on pre-war Earth, are now considered “expendable” and are sent on a mission to test if Earth’s surface has become habitable again. Both shows start with the inevitable exposition, letting us learn that both stories are set in the future, Star-Crossed in 2024 and The 100 an undefined 97 years after a nuclear war (so likely to be 2111 or later). I wasn’t entirely convinced by the near future setting of Star-Crossed but the much more futuristic time frame for The 100 worked pretty well. There is clear conflict established in both shows. 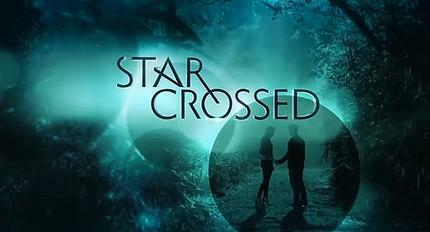 Star-Crossed is giving us the Romeo and Juliet -esque “us and them” with the humans and aliens in direct opposition, whilst The 100 favors a more dystopian approach with shady seeming adults trying to worm their way into political control and the teens the potential victims of a generally poor situation. From the pilots Star-Crossed is definitely taking the lead romantically. Human girl Emery and alien boy Roman have a past, and it looks like they’re destined for one another. So of course that’s not going to go well.The 100 pilot is much lighter on the love side of things, we have a minor character trying to become a ladies man but our female lead Eliza isn’t too obviously keen on any of the boys she’s surrounded by. It’s The CW. I think it’s written into their constitution that they have to cast pretty girls and pretty boys. The ensemble size means The 100 might just have the edge in this respect, but I did find there were just a couple too many boys with floppy dark hair and got confused about which one was which. Both shows actually have cast members with either a disability or major health issue, though my gut is telling me that at least one of these characters isn’t going to last very long. There are characters of colour in both shows but it’s not clear yet whether there are any non-straight characters. Of the two shows Star-Crossed has the edge for me so far, purely because it ticks a few more of the boxes on my “Things I love in TV series” boxes. Both pilots though did plenty to make me tune in again, The CW hasn’t always been particularly good at hooking me in with pilots so I’m hoping this is a good sign for what’s to come. I asked Liz to have a little look at this post, I know she’s watched both pilots too. She made a couple of really interesting points she’s happy for me to share. Firstly she’s seen plenty of chatter about Star-Crossed on Tumblr but not much for The 100, once she pointed this out I realised my online experience was the same. Twice as many episodes of Star-Crossed have aired so far, this may have something to do with it – I get the idea The 100 bit be a slightly slower burner too. She also commented on the different focus – Star-Crossed looks like it will have a smaller cast and focus on the teens whilst The 100 has a bigger ensemble and is focusing on the full age range of society. I think this is an interesting point, within a few episodes I think the two shows may well fall into very different camps and will appeal to quite different groups of viewers. I’m looking forward to seeing how both shows unfold. I have a definite preference at the moment but I am interested to see how I’ll feel by the end of the season. Both have 13 episode runs, plenty of time for my feelings to change completely!